Developing story for April 19, 2016.
for “My Niggas in Paris“: a seminar in political pandering. 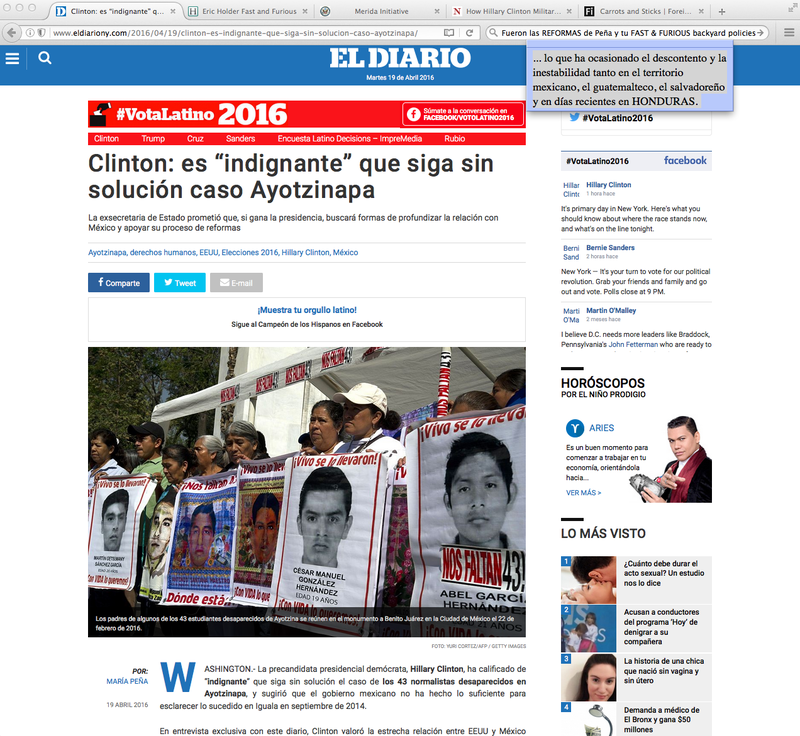 Dear Hillary: I don’t now if you are playing the carrots monologue on you foreign policy dialog, but Madame Secretary, it is precisely the STICK policy [Merida Initiative & ATF’s Fast and Furious] that most likely contributed to the disappearance of those 43 students, not to mention the MORE THAN 120 Thousand victims of your Back-Yard politics with your neighbor to the South. ¿Indignación Señora‽‽‽: ¡Más indignados están mis huevos rancheros!!! | Uso Justo de los Medios del Estado de Nueva York, para poder ver que dicen los cuernos de Aries en el esoterismo… de la Cachucha de Matthews. 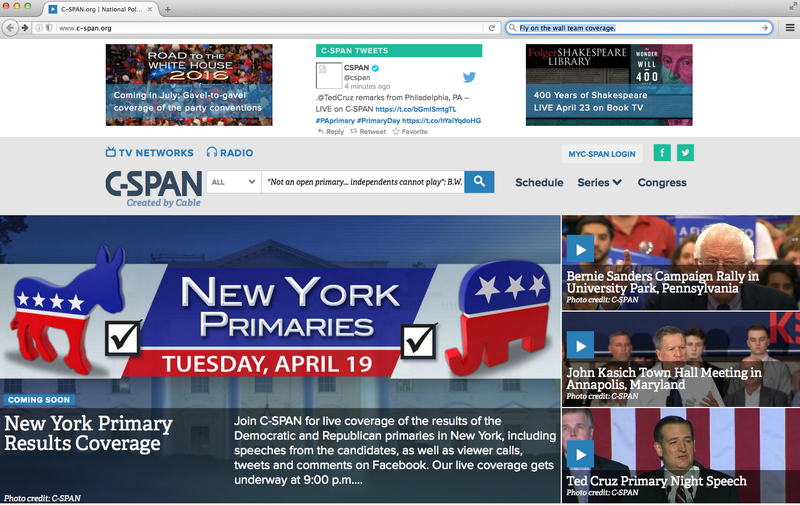 Frequency-hopping in what Brian Williams would call [not really] a New York Minute. The last time that we did this dance Donald Trump was playing the “remesas” card on his “Mexico will pay for the wall.” One of the ironies that the Trump Guys did not realize with regards to that proposition is that the Mexican Government already beat them to that punch, in other words, [Donald Trump] the Mexican government already thought about it, then implemented a plan, and then EXECUTED a method to effectively skim and/or withhold those very remittences —that in your campaign— your mouth was talking about. Source: Oral History and Bracero Stories. 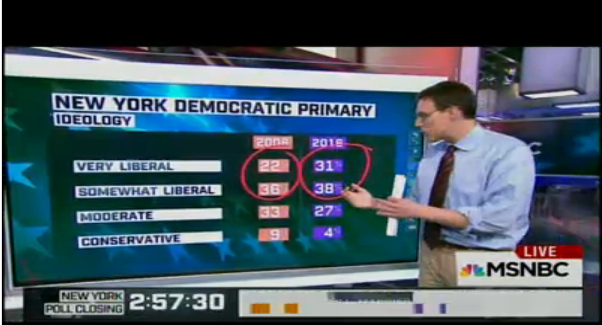 Fair Use of the news, the pundits and the media. | BTW [Donald Trump] Why in the F… did you not suggest to GO AFTER the WESTERN UNION’s, the VIGO’s, or the ORLANDI VALUTAS of the send money back home industry at the wino-shops. Coming up… Welcome Back, Kotter —Sit down and Meet Chuck Todd: A first look at the [ real exit ] polls. full partially filled with “void” ballot votes. When the time arrives and someone is needed to step-up to the plate and then narrate the oral history of Morning Joe, Mr. Willie Geist is going to be the one to attest that Chuck Todd did the math while he tired to save his coffee mug… it begs the question: was the cup of joe, Starbucks, or was it a tacita de Juan Valdez Café? Uso justo de los medios y las matemáticas en casa. Las ideologías: los asnos arriba ↑ y los elefantes abajo ↓ [in an eight year spread]. Uso justo de los números —y de los medios— en el poleo de Nueva York. 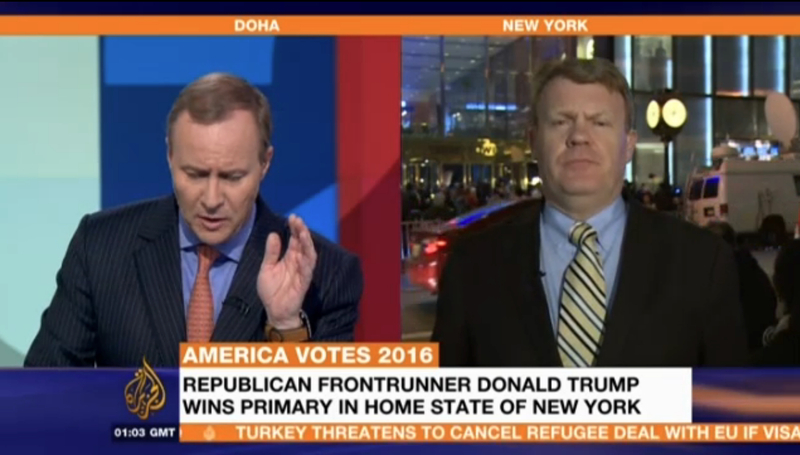 “A trademark comment,” according to Hardball’s Chris Matthews… 1h 36min before yesterday’s polls close [Today] around the “foot of the Brooklyn Bridge”. 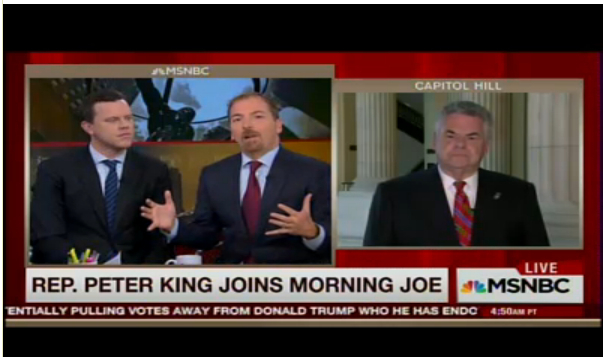 Rep. Peter King will take cyanide if Ted Cruz wins the Government of the People nomination. | Fair use of a morning show and media. Obsession with the StopTrumpMovement in New York-New York seems to be the theme for Brian Williams tonight… Landing a plane is the itch to scratch on the Sanders camp watch. Fair use of the State of Affairs over at the C-SPAN post. The closing of the polls follow. 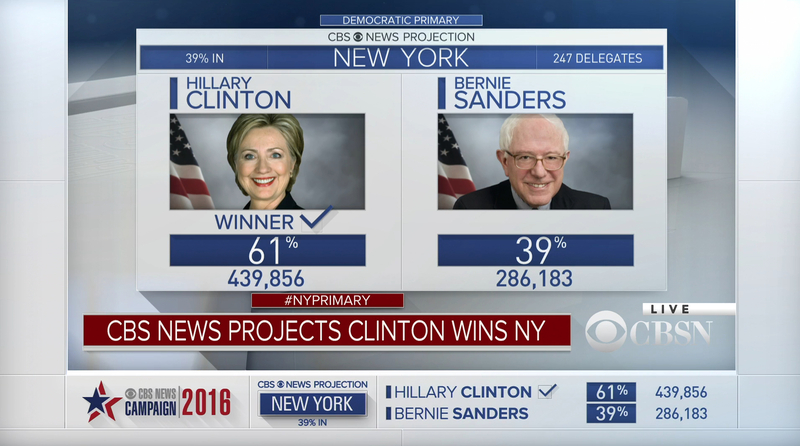 Will Bernie Sanders get to stay airborne or will the vessel have to prepare its landing? 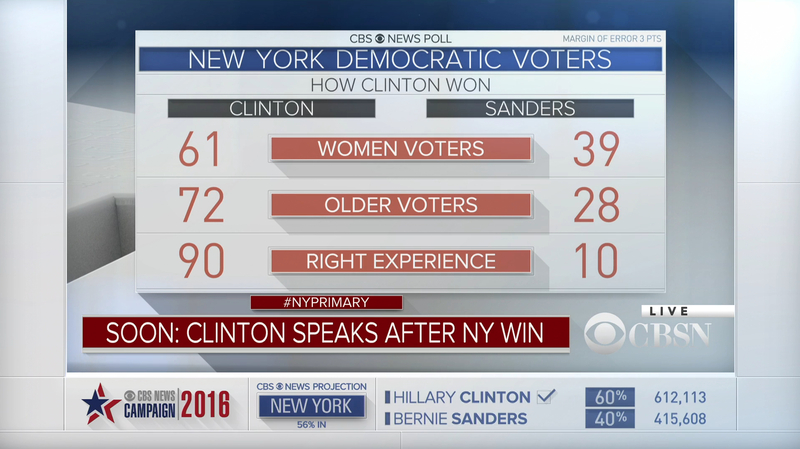 On the other side of the stream, CBS projects Secretary Clinton taking New York. 3h33m CET… Donald Trump walks in and works the room to the tune of Sinatra’s New York-New York… the winning candidate suggests that ‘You’ the ‘Media’ keep talking about him. His mouth continues to “legitimately” suggest a hard-line [right of center] tactic to make “America Great”. Much like the Eiffel Tower here in Paris, the Empire State Building gets into the act by getting all lit up [at least the top] according to the colors of each political party as the projections were being called out on live broadcast and interwebs tv. 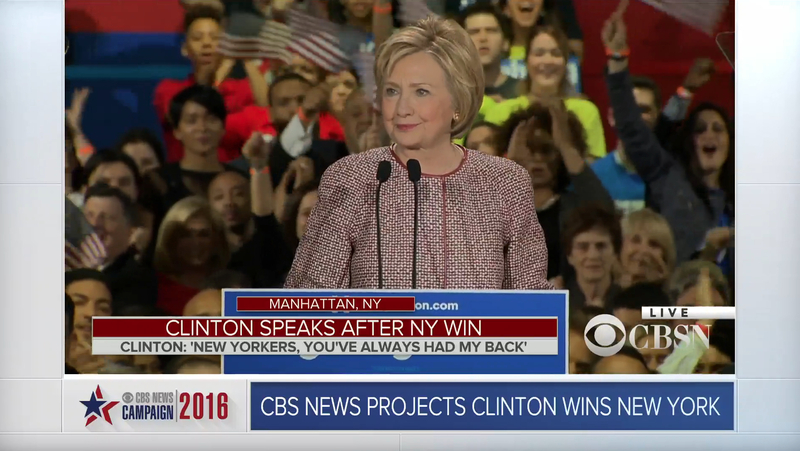 With the sounds of an Empire State of Mind, Secretary Clinton walked onto the stage and thanked her home town. In her speech she also warned about “powerful forces” that will do anything to derail her campaign. She trashed both Donald Trump and Ted Cruz for their “frankly dangerous,” back to “trickle down economics” and racist solutions for the country. 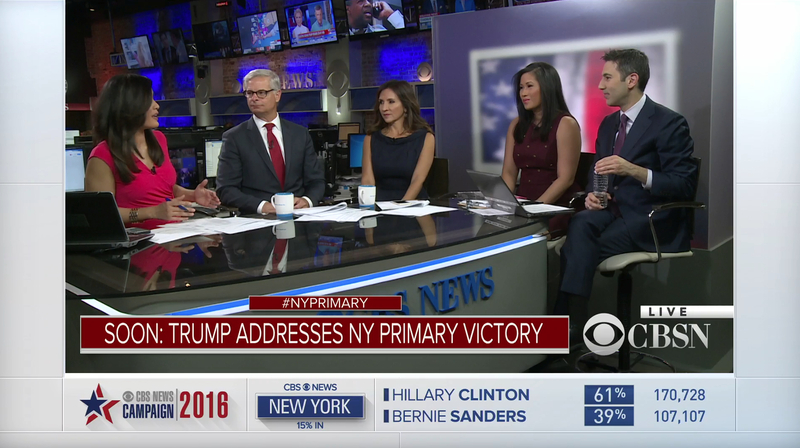 The takeout from this event, for the CBSN Crew, is that Clinton’s biggest obstacle however, remains “the honesty factor,” which they argue stills eludes the winner of tonight’s Democratic Party New York Primary Election… but she is likable enough, they all seem to agree. Buenas noches. 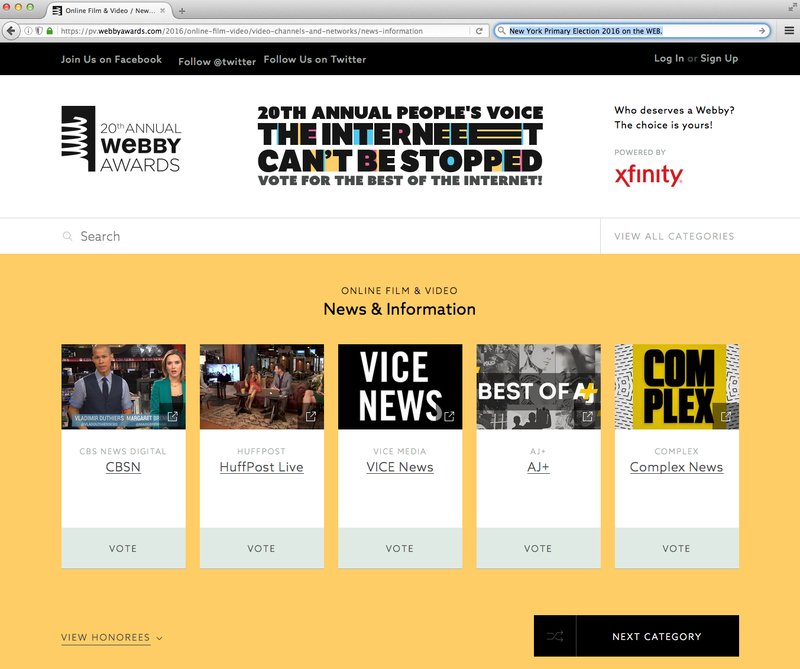 My vote is with CBSN for a Webby Award. In case your cravings for Democracy continue well into the weeeee-hours of the night. [It’s 5h15 CET].